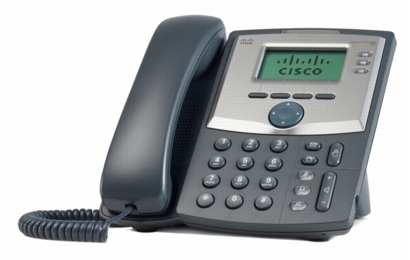 Buy Cisco IP Phones WHOLESALE at Telephone Magic! Cisco 6900 Unified IP Phones Series is designed to improve productivity, foster collaboration, and reduce operating expenses with simplified, fully featured, and cost-effective communications that deliver a superior user experience. Get affordable, reliable voice and video communications with a user- and eco-friendly endpoint. Cisco Unified IP Phones 7900 Series provides IP phones with color liquid crystal display (LCD), including dynamic soft keys for call features and functions. The 7900 Series also supports information services, including Extensible Markup Language (XML) capabilities to extend IP phone systems. They have the capability to customize XML-based services to let users access a variety of information, such as stock quotes, employee directories, and web content. Cisco Unified IP Phones 8900 Series use interactive multimedia communications and advanced features, including high-performance video, with the Cisco Unified IP Phone 8900 Series. This series is an ideal solution for knowledge workers, managers, and administrative staff. Interactive features of the Cisco Unified IP Phone 8900 Series include video communications of up to 30 frames per second (with built-in cameras on select models), high-resolution 5-inch color displays for easy viewing, high-definition voice (HD Voice), and tricolor illuminated LED line and feature keys. Cisco Unified IP Phone 9900 Series advance the pace of decision making and enhance user experience with high-performance business video and wireless communications. This series delivers high-quality, advanced interactive multimedia communications in a design that is both user- and eco-friendly. The 9900 IP Phones Series features interactive video, a large backlit, vibrant high-resolution 640 x 480 pixel fully-adjustable color display with touchscreen, Built-in 802.11a/b/g Wireless-fidelity (Wi-Fi) radio, dual standard USB 2.0 ports which support wired headsets, high-definition voice (HD voice), and much more. Cisco SPA500 IP Phones Series are designed to improve and simplify communications across your entire company. From the lobby to the break room, these phones offer enough features for everyone from executives and cubicle workers to staff on your manufacturing floor. Your employees stay productive, and enjoy reliable access to voice and data communications wherever they go, but your costs stay low. Cisco SPA300 IP Phones Series NEW – Affordable, reliable, and easy to use, the Cisco SPA 300 Series IP Phones is a portfolio of basic IP phones supported with the Cisco Unified Communications 300 Series and Cisco Unified Communications 500 Series, part of the Smart Business Communications System (SBCS); and hosted IP telephony systems. Cisco Unified IP Conference Phones combines state-of-the-art speakerphone conferencing technologies with award-winning Cisco voice communication technologies. The net result is a conference room phone that offers superior voice and microphone quality, with simplified wiring and administrative cost benefits. These full-featured, IP-based, hands-free conferencing telephone units are designed for use on desktops, in conference rooms, and in executive suites. This entry was posted in cisco, cisco sip telephones, conference phone, hosted ip-pbx, ip, ip-pbx platform, sicso ip phones, sip, sip phone, softphone platform, unified ip, unified ip telephone, video phone, voice over ip, voip on November 3, 2012 by jjackson.